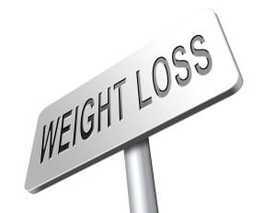 Searching for a doctors weight loss clinic to jump start your fat loss goals? No matter what your starting weight may be, Dr. Urshan’s proprietary weight loss system will help you transform your body in just 40 days*. When researching your doctor weight loss options, it’s crucial to consider your personal and lifestyle needs and the program’s demands. With Dr. Urshan’s flexible program, you can enjoy guaranteed results* without the usual hunger, cravings, drugs or strict meal plans characteristic of most fat loss regimens. Luckily, there are some immediate changes that you can implement to live a healthier, more active life, in addition to doctor weight loss options. Our wellness experts advise standing for at least two hours at work each day and gradually increasing the standing time to four hours each day. Coupled with Dr. Urshan’s weight loss technology, this small change can result in major calories burned, fat shed and inches lost over time. If you suspect that years of having a sedentary occupation could be the culprit of your body’s steady weight gain and stubborn areas, our weight loss technology can help you reverse your metabolic damage, so you can torch your stubborn fat*. With happy, healthy and motivated patients in St. Petersburg, Clearwater, Westchase, Palm Harbor, New Port Richey and neighboring areas, we can are confident that you’ll see significant results in the first 40 days* of our doctors weight loss clinic regimen. Contact us today to schedule your free consultation.